Truth Fellowship Live | Bismarck ND Church | How confused are you about the Gospel? How confused are you about the Gospel? I have been teaching a class at Northern Plains Biblical Seminary called Evangelism That Works. The course is based on the teaching of Dr. Larry Moyer of EvanTell and Dallas Theological Seminary. I greatly appreciate Dr. Moyer’s approach to evangelism and his ease in teaching the course. Even though the class is small, we are having a great time discussing the various elements involved in sharing one’s faith. This is the second time I have taught through the Academic Seminar developed by EvanTell and I am still discovering the importance of knowing how to clearly share my faith. Many people are confused about what the gospel message is, what is involved in saving faith, and where in the process does repentance fit into the process. So, let me try to answer these three questions as clearly as I can. Moreover, brethren, I declare to you the gospel which I preached to you, which also you received and in which you stand, by which also you are saved, if you hold fast that word which I preached to you–unless you believed in vain. For I delivered to you first of all that which I also received: that Christ died for our sins according to the Scriptures, and that He was buried, and that He rose again the third day according to the Scriptures, and that He was seen by Cephas, then by the twelve. After that He was seen by over five hundred brethren at once, of whom the greater part remain to the present, but some have fallen asleep. After that He was seen by James, then by all the apostles. Then last of all He was seen by me also, as by one born out of due time. Christ died for sins and rose from the dead. What then is saving faith? Saving faith involves three components. A good way to remember these components is by thinking of the Kit-Kat candy bar. We are only concerned here with the KAT part of the name. Saving faith involves knowledge of who Christ is. The lost person must know some basic facts about Christ. First, he must know that Jesus was human and that He was sent from God (1 John4:2). Second, he must know that Jesus is the Messiah (the Christ) and that He is God (John 20:31). Third, he must know that Jesus died for our sins (1 Cor 15:3). Finally, the lost person must know about the resurrection of Jesus…He rose again (1 Cor 15:4). Saving faith involves acceptance of His person and work. The most basic meaning of the Greek words translated believe and faith is to “accept something as being true” or to “be convinced of something.” A person can understand (know) something and yet not accept it as being true. Saving faith involves trust in Christ alone to save. The two Greek words translated believe and faith include the idea of “trust.” This means “reliance on” or “dependence on.” The New Testament emphasizes this many times by putting a preposition after believe. For example, John 3:16 tells us that “whoever believe in Him should not perish” and John 3:36 tells that “he who believes in the Son has everlasting life. 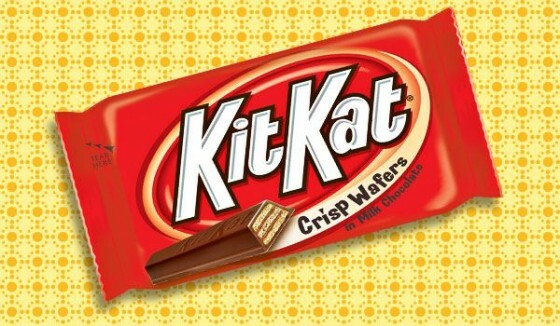 Remember the Kit-Kat—Knowledge, Acceptance, Trust. Where does repentance fit in? This question has been bothersome to many. We have this thought that repentance means to stop doing all those things we did before we trusted in Christ. But the word translated repent actually means “to change one’s mind about” or “to be converted.” Therefore repentance is essential to salvation. In the context of evangelism, repentance means to change your mind about whatever is keeping your from trusting Christ and then to trust Him to save you. There are many things from which we need to repent. It could be idols, dead works, or particular sins. Or it could be a wrong view of God or a wrong view of Christ. When an individual changes his mind about whatever is keeping him from trusting Christ and then proceeds to trust Him for salvation, then both repentance and faith have taken place. Therefore, repentance is not turning from your sin because that is impossible before you are redeemed; rather, you trust in Christ (know, accept, trust) for salvation and then He provides the strength and power to overcome other sins in your life. When an individual admits that he is a sinner, understands that Christ died for him and arose, and puts his trust in Christ alone to save him, both repentance and faith have taken place. Thank you Dr. Moyer for such clarity of thought. Have you come to a place in your life where you know for certain that you have enteral life? If you trust in Christ alone for your salvation, then you have. No Replies to "How confused are you about the Gospel? "